Music is an important part of the worship service and the communal life at St. John’s. The music program at St. John's is led by our music director/organist, Alex Pryrodny. The enthusiastic singing by the congregation, the choral anthem and the occasional folk band music add something very special to the worship experience and to the spiritual nourishment of the congregation. Anyone who is interested in joining our music group or has a child wishing to participate, please contact either the church office or the leader directly. 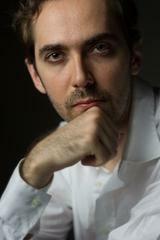 Alex Pryrodny is a New York City based pianist, organist, composer, and music director. Originally from Ukraine, Alex started studying piano at the age of 3 and gave his first public performance at the age of 6. By his early teens, Alex has won the title of Ukraine’s best young composer twice, as well as several international competitions in classical piano, composition, and improvisation. At the age of 16 Alex moved to the United States where he studied composition and classical piano in the University of Maryland and jazz piano at the New School in New York City (BFA in 2008). Alex has performed in concert halls and jazz clubs in the United States, Italy, Taiwan, Japan, Russia, Poland, and Ukraine. In 2012 he has been awarded the 2nd place at the highly prestigious Montreux Jazz Solo Piano Competition in Switzerland. In addition to his career as a pianist, Alex has been studying organ and vocal sacred music since childhood and in 2002 he started working as a church musician on a regular basis. He has organized and performed in various fundraising and charity concerts for the St. Patrick’s Episcopal Church in Deer Park, the Franciscan Episcopal Community of Little Portion Friary in Port Jefferson, NY and in his current capacity as the music director of St. John’s in Huntington. Whether in a church, concert hall or a jazz club setting, Alex’s goal is to use the incredible power of music to inspire, uplift and bring people together. 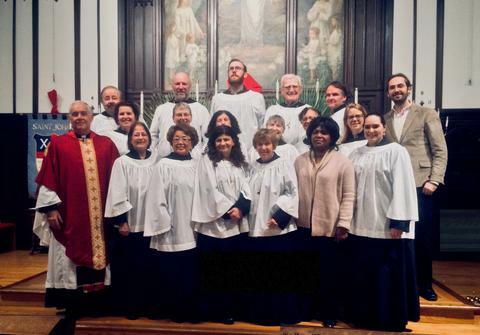 St. John’s is blessed to have a very fine volunteer adult choir with some excellent soloists. They sing at the 10:00 AM service on Sunday, on feast days, and other special occasions. 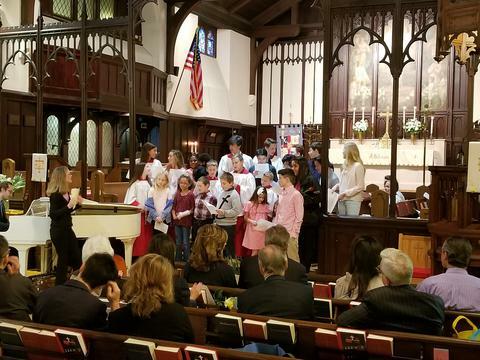 They practice under the direction of the Organist/Choir Director on Thursday evening and before the service and additionally, as needed, for Christmas, Easter and other special services. The choir is supplemented by several professional singers and instrumentalists on special occasions.